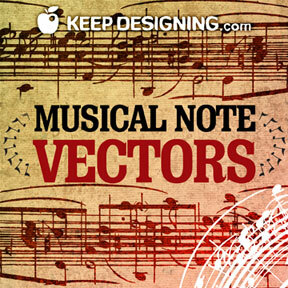 Today we’re giving away musical note vectors- free vectors. I came up with these as I was working on a cover design for a musician- I figure it has a universal application to a design because it can be used on any genre of music from hip hop to classical to country- musical notes apply to them all. I designed the music vectors in various orientations- so one of them’s got to fit your design whatever the space situation is. Music is a lot like graphic design but with sound- so I encourage you all to listen to music when you design- I usually get my best creative ideas as I’m just sitting there listening to music. Got some high resolution old wood textures to share – taken high in the mountains of Colorado. The wood is old and faded with lots of gnarly details. 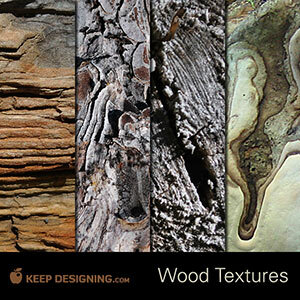 One of the textures is rustic tree bark, one texture shows the wood’s layers close up. The third is the base of a tree stump cut over a hundred years ago. I also included some sort of fungus the I discovered growing on a tree in Tennessee. Okay graphic designers- Lets get down to business.. vectors- that is. The way the U.S. economy has been tanking lately- we can all use a little something for free, Hence- we bring you the free “corporate business money economy vectors” yes I know that’s a ridiculously long name- but i felt it encompassed everything in this free vector package. 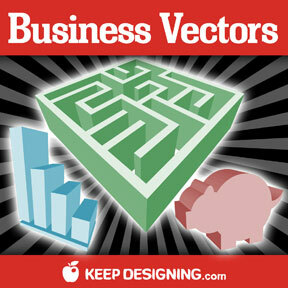 There are a total of six free vector graphics in this free download. This free vector art is original, copyright free artwork that can be used on any commercial or personal project. I’m sure there are some graphic designers out there that’ll find some use for these in desiging annual reports, business reports, business weekly, corporate paperwork, business editorials, etc. This eps file is friendly to anyone using adobe illustrator 8 or higher- Enjoy. 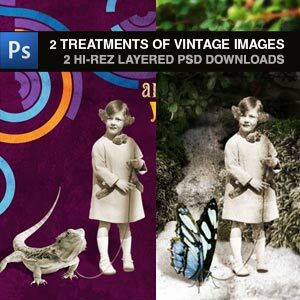 I was experimenting with using vintage images for a cover design and got off on a few design tangents (I’m sure that’s never happened to you, right). Hours later I had some interesting looking pieces that never ended up in a design – but they were fun to put together. May as well share! Any and all parts of these files can be used in personal or commercial works. 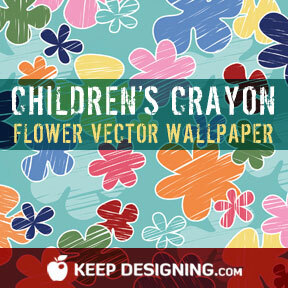 Children’s crayon flower vector wallpaper is our latest free graphic design resource. They come in an assortment of pastel colors for your visual designing pleasure. This free wallpaper is prefect for adding some pizazz to any youth oriented design, be it web design or print design. You can use the whole pattern or select individual flowers from the design motif. This wallpaper vector is an original, copyright free artwork that can be used on any commercial or personal project. This eps file is friendly to anyone using adobe illustrator 8 or higher- Enjoy. Free Vector art for every season including summer vectors, spring vectors, winter vectors, and fall vectors. 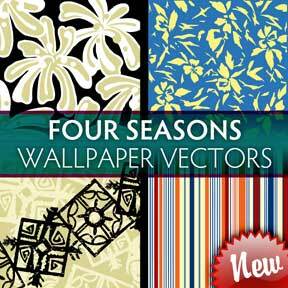 Today�s free vector is a set of four different wallpaper vectors. These wallpaper vectors can be a great addition to your design elements arsenal tool box or compliment any print design or web design you might be working on. These free wallpaper vectors are original, copyright free artworks that can be used on any commercial or personal project. This eps file is friendly to anyone using adobe illustrator 8 or higher- Enjoy.